Austroads has published the second report from a project that is developing a laboratory test to rank the low-temperature cracking performance of binders in sprayed seals. This information is currently only available by conducting road trials, which are costly and can take many years to produce results. A laboratory test will provide significant efficiencies for road agencies. 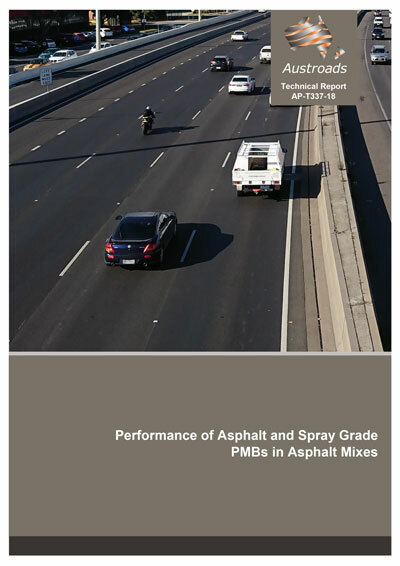 This report describes the first year of work into whether different spray and asphalt grades are required for four of the PMB grades in the Australian polymer modified binder (PMB) specification, Austroads Test Method AGPT/T190:2014. The specification requires that different PMB grades be used in the construction of sprayed seals and asphalt. Binder grades used in sprayed sealing applications are labelled ‘S‑grades’ in the specification, while those used in asphalt applications are labelled ‘A‑grades’. The study examined four PMB grades which typically contain styrene‑butadiene‑styrene (SBS) polymer (A20E, S20E, A15E and S25E). The specified test limits for A20E in comparison to S20E and A15E in comparison to S25E are very similar except for the maximum specified limits of the stiffness test parameter. This study compared A20E with S20E and A15E with S25E grade PMBs, to determine whether the use of comparable asphalt and spray grade PMBs influenced asphalt performance. Tests were conducted after each of the binders were incorporated into a single type of 10 mm dense‑graded asphalt mix. Based on the results, it appears that the asphalt and spray grade PMBs included in this study could be merged into two binder grades in the Australian PMB specification (i.e. A20E/S20E and A15E/S25E grades) if these materials were only used in asphalt applications. If the results of the sprayed seal performance comparisons proposed to be conducted in 2018–19 also show that comparable asphalt and spray grade PMBs perform similarly in sprayed seals, then A20E and S20E PMB grades, as well as A15E and S25E PMB grades, could be merged into two binder grades in the Australian PMB specification. A reduction in the number of SBS‑based PMB grades in AGPT/T190 will simplify jurisdiction specifications. It will also benefit binder suppliers as the requirement to produce fewer PMB grades will simplify production processes and reduce the costs associated with needing additional tanks to store different AGPT/T190 specified products.